Vallarai (வல்லாரைக் கீரை) or Indian pennywort or Brahmi is a medicinal herb. It is a wonder herb used in native medicine since ancient times. This herbaceous plant grows easily in tropical climates and requires daily watering. According to Ayurveda, vallarai is neuroprotective; improves memory and concentration. It reduces hair fall, enhances skin complexion and improves immunity. Traditionally, this herb is used in cooking to make chutney/thuvayal and kootu. 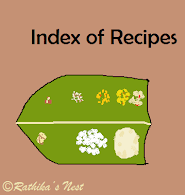 Today I wish to share an easy recipe using vallarai keerai and buttermilk (வல்லாரைக் கீரை மோர் சாறு). Method: Wash brahmi leaves well and drain fully. Keep aside. Heat 1 teaspoon of oil in a kadai. Add 1 teaspoon cumin seeds and when they crackle, switch off the stove. 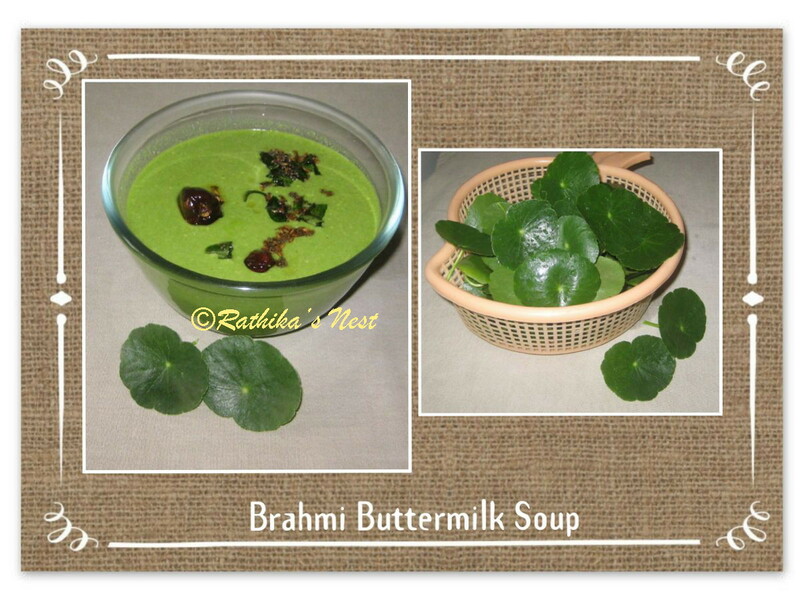 Add brahmi leaves, and mix well. Let the leaves stay in the hot kadai for 2 minutes. Grind the fried ingredients with green chilies and coconut into a smooth paste. Beat the curds using a blender; add the ground paste, salt and asafoetida; blend well. You may add up to ½ teacup of water if the mixture is too thick. Heat the remaining oil in the tadka/spice pan; add mustard seeds, cumin seeds and red chilies. Once the seeds crackle, add the seasoning to the soup. Garnish with curry leaves. Serve with hot rice and poriyal or pappad. You may drink this soup as an appetizer as well.